I think I would enjoy them, and I think my older kids would as well. They are well written stories I thought. :) I love the factual stuff at the end of the book so I know what is real and what was inspired. Inspiration is not a bad thing, especially when you know what inspired it. These sound good! I think my son would like the one about the hurricane (he's almost 11). 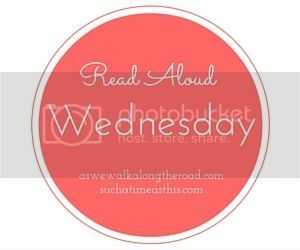 Thanks for linking up on Read Aloud Wednesday!